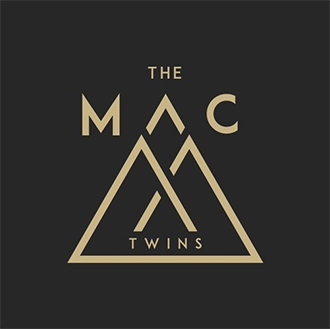 Whether performing all over the world for Diet Coke, Armarni, MAC Cosmetics, on tour with the UK’s biggest music institution The Official Charts or opening festival stages, The Mac Twins’ unique talent is their ability to connect with any audience – large or small – and keep it real. Their opposite music tastes make their sets a unique battle – and make for a lively and varied gig. The Combination of Alana’s technical ability and passion for mixing with Lisa’s infectious and energetic performances makes them a double force to be reckoned with. Whether playing sell-out gigs in superclubs across Europe or intimate launch parties closer to home in the UK, they have the crowds eating out the palm of their hands. With a great stage presence and an eye and ear for what the audience wants, these two know how to entertain. Whether performing all over the world for Diet Coke, Armani, MAC Cosmetics, on tour with the UK’s biggest music institution The Official Charts or opening festival stages, The Mac Twins’ unique talent is their ability to connect with any audience with their energy and opposite eclectic music tastes. As well as being the Official DJ’s for Love Island where they can be see playing live on ITV2 every Sunday night, the girls’ are presenters on Virgin Radio. In the past year they have had guests such as Sigala, Fatman Scoop, Tove Lo and John Newman, plus live broadcasts everywhere from The Brits and to the Team GB camp and are now the “go to” presenters for fun, energetic content. In the past year they’ve broadcast live from all the Summer festivals, warmed up for Jess Glynne and Fleur East at Wembley Arena, headlined Festifeel and Fashion Undressed festival on the Southbank for Mastercard and performed bespoke intimate sets at the Groucho club, for Gok Wan’s Magazine and for brands such as Urban Decay and @london to name just a few. Even in the past few weeks they DJ’d at the EUFA Champions League Final party and played alongside Lulu and Pixie Lott for Simon Cowell’s Annual Midsummer Ball. They began on BBC Radio and their big break came with the 2012 Olympic Torch relay and live performances on Sky Sports. This progressed on to residencies in London’s top clubs like Whisky Mist, the W hotel and the Mayfair club. They’ve since branched out as far as Morocco (Lotus Club) and as large as Belgium’s Versus, Europe’s largest club. They continue to complement their touring with a monthly homecoming residency at “Scotland’s best Nightclub” Why Not. Their reach is ever-expanding: venues such as Bloomsbury Bowling Lanes for “Pop Shop”, stints at the 02 Islington, House of Vans, DJing for celebrity parties such as Liam Gallagher’s 40th and everywhere in between. 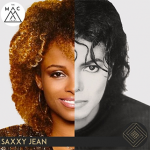 The Mac Twins continue to be successful because they remain true to themselves while embracing the creative tension that inevitably comes out when they are at the decks as a pair, which you can hear in their bespoke mashups too. It really is the best of both worlds, no compromise. For years Lisa and Alana bickered in the booth about what to play taking a good few years to realize the magic is in the clash. While learning to work with this in their sets, it inspired them to devise their groundbreaking interactive show PLAY. They sought to crete an immersive experience that was halfway between the production values of a £90 arena show and your general club night for a tenner. It merges their performance backgrounds, their love for their old Sega Mega Drive and the clubbing world all in one show. PLAY is a ‘gamified’ clubbing experience that lets the audience have control of their night. 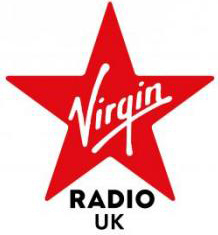 Hear us every Saturday Night 7pm to 11pm on Virgin Radio! Sign up below to join the official Mac Twins mailing list and be the first to know news and event updates.